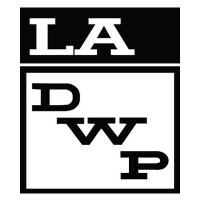 The Los Angeles Department of Water and Power, or LADWP, is the largest municipal utility company in the United States servicing over four million residents and businesses. They believe in providing clean, reliable water and power with excellent customer service in a safe, environmentally responsible and cost-effective manner. Begin your search for LADWP jobs by selecting the link below and filling out the LADWP application. The company was founded in 1902 to supply water to Los Angeles and surrounding communities. At first, distributing water was accomplished by using the Los Angeles River and using a system of crude dams, water wheels, and ditches. As the city grew, new construction of reservoirs and distribution mains provided added capacity and efficiency. The company started delivering electricity to their customers in 1917. Even during those early times, conservation efforts were being initiated by installing meters to discourage the wasteful use of water. That same forward thinking has been a hallmark for this company. Since 1970 and into the 1990s, this company has focused on conservation and reliability by diversifying its energy portfolio. Today, the power system uses natural gas, coal-fired, nuclear power, hydropower and wind power. They are now able to use 20% renewable energy and are proud that they have reduced carbon dioxide emissions to 22% below 1990 levels. Not only do they care about the environmental impact, they also participate in a number of Educational Partnership Programs. Their mission is to partner with City Departments to efficiently produce and sustain a diverse workforce which reflects the City’s population. How to apply for LADWP online? The first step is to determine what LADWP jobs are currently open. Once you have determined the job that you are most qualified for, you will need to fill out a LADWP application form, along with any other forms required, on or before the closing date listed. There are several positions available that are generalized and specialized. The jobs that specialize in electricity are Electric Distribution Mechanic and Safety Engineer Pressure Vessels. Those that specialize in water are plumber and waste management. There are other LADWP careers that are more generalized. Those options are meter reader, safety engineering associate, and heavy duty equipment mechanic. You can continue your search for LADWP jobs online. How old do you have to be to work at LADWP? The minimum age required to work at LADWP is 18 years old. The company gives eligible full-time employees an outstanding benefits package. Those benefits include work and family life program, health and dental plans, fitness center, tuition reimbursement and training, employee association, pension plan, deferred compensation, ride share incentives, flexible work schedules, flexible spending accounts, and paid time off. There is not a printable application for LADWP to download nor can you turn in a direct application or apply in person. If you need assistance with your application, business hours are 7:00am to 7:00pm Monday through Friday. Otherwise, go online and apply for jobs at LADWP. Safety Engineer Pressure Vessels – This role is responsible for inspecting steam and other boilers, unfired pressure vessels, and appurtenances for conformance regulating their design, fabrication, installation and operation. Beginning salary for this position is $95,338. Electric Distribution Mechanic Trainee – The Electric Distribution Mechanic Trainee will be trained as either a line mechanic or a cable splicer. If trained as a line mechanic, you will be responsible for assisting in the construction, maintenance, and repair of overhead electric power. If trained as a cable splicer, responsibilities will include assisting in the construction, maintenance and repair of underground electric power. Starting salary for both of these trainee positions is $73,205. Meter Reader – The responsibilities of the Meter Reader include reading water and electric meters and making accurate recordings of those readings using a hand-held computer. Other duties include reporting irregularities found in the field and provide excellent customer service by answering inquiries and resolving complaints regarding service. The annual salary for this position starts at $56,041. Safety Engineering Associate – This position assists in administering safety and accident programs to the employees for one or more City departments. The salary for this job starts at $58,150. The following questions are those that are listed on the Los Angeles Personnel File Job Interview, which you will find the link to under the Referral Links. Why do you want to work for the City? Prepare for this question by giving it some thought beforehand. Not only answer it with what the position can do for you, but also with what you can do for the company. What are your major assets for this job? This is a great time to express your weaknesses in such a way that your strengths are highlighted. For example, in your previous experience, you used your knowledge to overcome an issue. Be specific about it but don’t over exaggerate. Why are you applying for this job? Research the company and the job in order to answer this question. Again, reiterate what you can bring to the job and explain what your goals are going forward. Can you describe your previous experience in this field of work? Give specific examples that focus on your skills and abilities that are pertinent to the job that you are applying for. This type of industry uses a civil service system of employment and promotion. You will be required to take an examination to be considered for employment. Once your application has been submitted, you will be notified by mail of the date, time, and location of the examination for the job that you applied for. The examinations are made up of one or more different test parts. These are used to determine your qualifications and to place all the applicants on a ranked eligibility list. It is recommended that you prepare for your interview by completely reading the Los Angeles Personnel File Job Interview. This pdf is an excellent resource to enable you to do your best during the job interview. You should keep the interview invitation with you to make sure that you are arriving on the right day, time, and place. You should dress in neat and businesslike attire. Arrive to your interview at least 15 minutes early to ensure that you are able to find parking. You will be interviewed by an interview board which will consist of two to three members. The receptionist will introduce you to the chairman and the chairman will introduce you to the remaining members. It is important to show courtesy, alertness, and self-confidence. To do this, speak in a confident tone of voice, smile, maintain eye contact, and use good posture while remaining relaxed. Near the end of the interview, the board will ask if there is anything you would like to add. Use this time to sum up your qualifications and experience, but be concise. At the conclusion of the interview, thank the interviewers for their time and consideration. Aerotek: Checkout the application page for work at Aerotek. Schlumberger: Visit the Schlumberger application. Georgia Power: Visit the job application for Georgia Power to apply today. Bechtel Construction: For employment at Bechtel Construction visit the application page. Delmarva Power: Visit the Delmarva Power application.